Dither - "The Man Who Tasted Shapes"
Dither is a solo project from Ken Lee, who is also Eleven Shadows which has a track on the To Jupiter And Beyond compilation reviewed this issue (CLICK HERE to read). Dither's music is darkly atmospheric, somewhat minimalist, but always exploratory. The tracks create ambience, but also venture through the realms of pure sound and various noises, not all of which are necessarily enjoyable. Tracks like "Enthrall", "Angel Trumpet", and "Wide Eyed Children Peering At Ocean Waves Through Smudgy Windows" are cosmically ambient but have an industrial edge that I liked. "Wide Eyed Children is one of my favorites on the disc being an industrial noise exploration. I almost hear cars and other sounds of the city, giving the music a spacey, but urban feel. An intriguing track. "Angel Trumpet" is more on the minimalist side. Along the same lines is "Eiliptical Oblate Spheroidal v.205", a minimalist Eno-esque electronics piece. It's interesting but there's a good bit of intentional crackles that I found really distracting. "When Sad But Forcing A Smile" and "The Man Who Tasted Shapes" are cool noise droney tracks. I liked the former because the drone was accompanied by floating and darkly image inducing music. 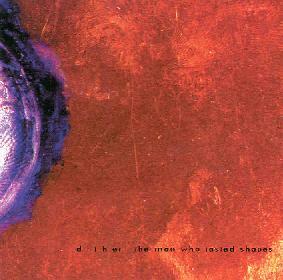 "The Man Who Tasted Shapes" was another one of my favorites of the set. It's like a noisy droning symphony. Very cool track but it's got those annoying crackles again. Another standout is "Javanese Bathysphere" which comes across as freaky atmospheric world music, if that's a description that makes sense. Moody, spacey, and it includes tribal percussion and some chanting. A nice set and good companion to the To Jupiter And Beyond compilation from a cool label.